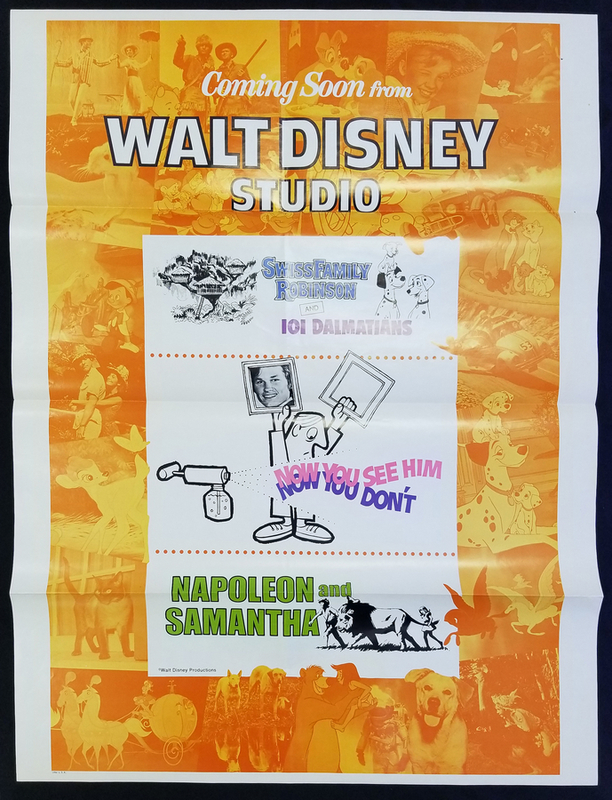 This is a promotional teaser one sheet released by Disney Studios in the early 1970s to promote re-releases of Swiss Family Robinson and 101 Dalmatians as well as the upcoming features Now you See Him, Now you Don't and Napoleon and Samantha. The poster measures 41" x 27" and has 3 horizontal folds and one vertical, as it was original distributed. 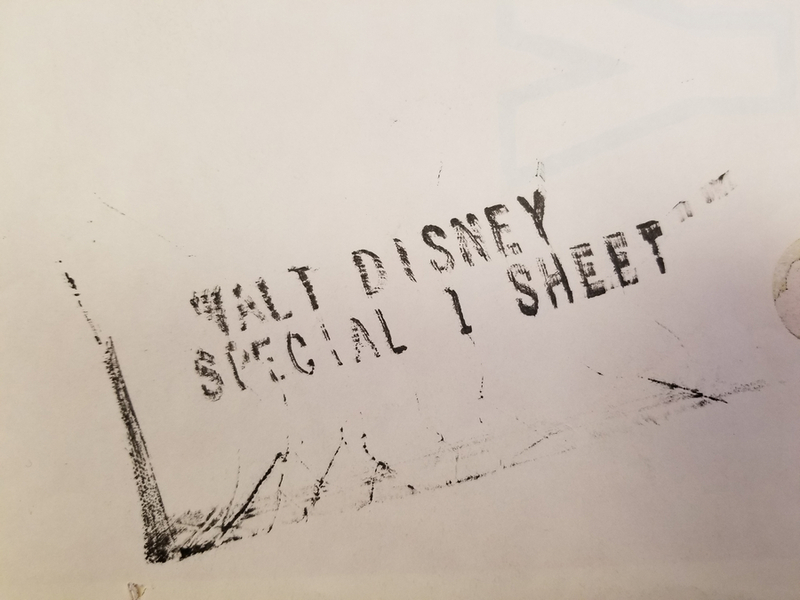 The poster is in good condition with some wear from age,and minor wrinkling. The poster will ship flat folded.